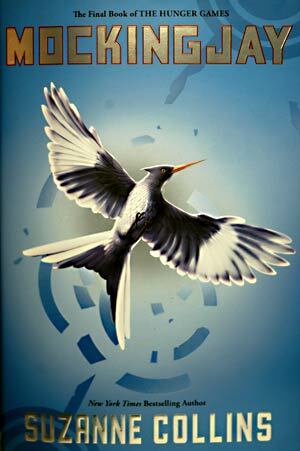 Earlier this week, mediabistro’s Galley Cat reported that the Los Angeles Times had broken the embargo on the final book in Suzanne Collins’ “Hunger Games” trilogy with a review of Mockingjay. The book was embargoed for sale until midnight Monday night, while the LA Times review ran on the paper’s site during the day Monday. It’s unclear to Embargo Watch whether that review was in the Monday paper, which may mean it was online Sunday night. Notice anything strange about this email excerpt? It must be Transparency Week here at Embargo Watch. Yesterday, PNAS editor in chief Randy Schekman bared nearly all in an editorial about a study of a potential link between viruses and chronic fatigue syndrome, explaining why the study had been held for publication for some weeks despite pressure. 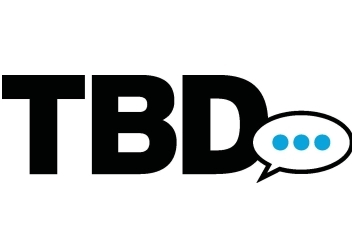 Also yesterday, in an exhaustively detailed post, TBD director of community engagement Steve Buttry told the story of how the new website and TV station dedicated to news and community information for the Washington, DC area handled getting press attention for its launch. The post is remarkable for its transparency and play-by-play analysis, and should be required reading for all PR pros managing a launch. At 2:55 p.m. Eastern today, just five minutes before the embargo on this week’s Proceedings of the National Academy of Sciences (PNAS) issue was set to lift, PNAS sent out a note to its press list saying that the embargo on one paper was being lifted early because of an embargo break. In the study, researchers found bits of DNA related to murine leukemia viruses (MLV), which cause leukemia in mice, in the blood of a large percentage of people with chronic fatigue syndrome. When they looked at the blood of healthy blood donors, relatively few had that DNA on board. The findings — which follow on others — are likely to bolster claims of a virus-fatigue syndrome link. MLV is a variant of xenotropic murine leukemia virus-related virus (XMRV), which has been in the news lately as a potential link to prostate cancer as well as chronic fatigue syndrome. But those studies have been contradictory, so the new study could shed some light on an ongoing scientific investigation that some hope could lead to new targets for chronic fatigue syndrome targets. A reporter at The Guardian has been sanctioned by EurekAlert after her story about a Science paper detailing the oil plume still sitting in the Gulf of Mexico was reprinted on The Age newspaper’s website before the 2 p.m. Eastern embargo had lifted yesterday. Yesterday, in a post called “No, Society for General Microbiology, you cannot embargo something that has already been published,” I wondered why it would occur to anyone to put an embargo a study that had been available online for a few weeks. Today, after tracking down the origins of a Tuesday exclusive in USA Today, I found out that a university press officer did the same thing. Scientists at the University of Cambridge have not only provided the first unequivocal evidence for the ‘hit-and-run hypothesis’ – explaining how some viruses might cause cancer and then mysteriously disappear – but have also shown how a vaccine could arrest them. Equivalent vaccines could help prevent not only known virus-induced human cancers, such as Burkitt’s lymphoma, but also cancers currently unsuspected of having a viral origin.